There are important things to know about the dock license requirements for your waterfront property. 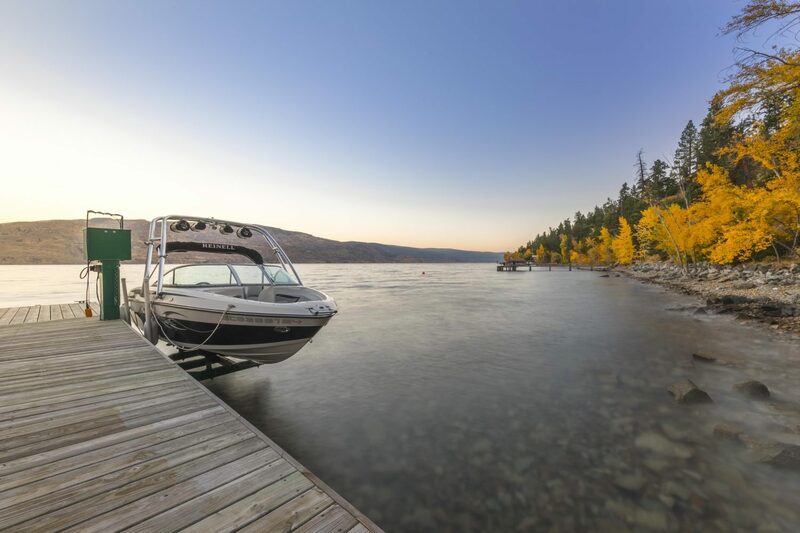 Owning a home on Lake Okanagan has many perks, one of which is private moorage for your boat. If you own a waterfront home or are thinking of buying waterfront property, there are dock license requirements that must be met. When purchasing a waterfront home, the current dock license is not transferrable. As a result, you must apply to have the license assigned once you take possession. Have your professional real estate agent ensure that dock meets necessary dock license requirements before buying a waterfront home. Furthermore, each waterfront community has different requirements. If there is no dock and you would like to build a dock, there are some of the dock license requirements you need to be aware of before building. Private mooring facilities are governed by the Ministry of Forest, Lands and Natural Resource Operations. There are legal dock license requirements and approval process you must follow. The dock must be in compliance with by-laws and local zoning. If your dock meets the conditions and requirements outlined in the General Permission, you may be relinquished from having to submit an application. Here you can Download the General Permission guidelines to see if you dock license requirements. Leases are typically a 20-year term. The annual leasing fee is $200.00 if the area is under 2 000 square meters. A higher fee will apply if the area is larger than 2 000 square meters. Areas along the Okanagan shoreline are categorized into color-coded zones. These are based on environmental sensitivity, from highest to lowest. These zones will determine what your dock license requirements and what type of dock you can build. There is no new construction in Black Zones, only repairs to grandfathered docks. If you are a waterfront property owner looking to build a dock, or to modify your existing dock, contact the local Natural Resouce front counter at https://portal.nrs.gov.bc.ca/web/client/-/vern-1 . Here you can learn how you can meet the dock license requirements before your start. Finally, if you are looking to buy a waterfront property in the Okanagan, work with a professional real estate agent. Above all, find a waterfront specialist that understands the complexity of a waterfront home purchase. Quincy Vrecko specializes in Waterfront homes in the Okanagan. Quincy can ensure the waterfront property you are purchase meets all dock license requirements so you can move in and enjoy your new home. Finally, spring has arrived in Kelowna. Snow is gone and trees are starting to bud. It is time to think of spring cleaning and getting your house ready to list. While we are a little behind weather wise, it won’t take long for the grass to green up and the flowers to bloom. 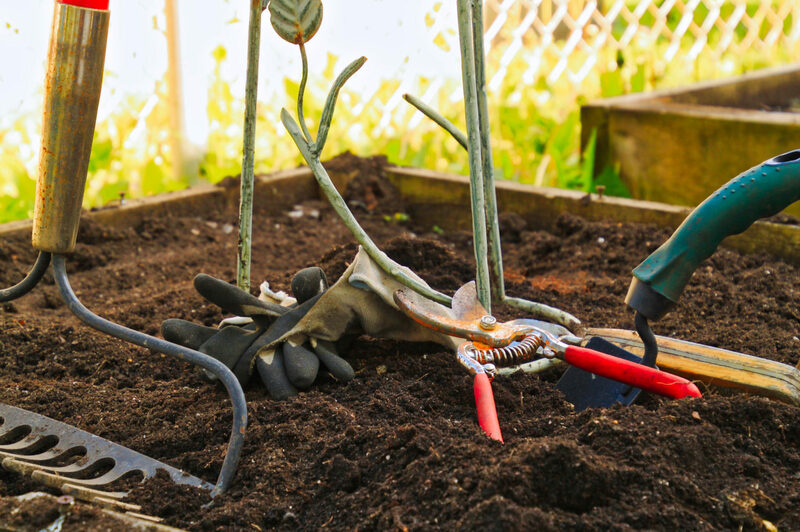 If you are planning on listing your home in Kelowna this spring, here are some great tips to get your house ready to list. Over the winter, the exterior of the home can get neglected and this will show when the snow melts. To get the exterior looking get and your house ready to list, hire or rent a power washer. Give the exterior of the home a good hose down including, doors, windows, patios, and trim. Also, while you are out there, clean out those gutters! However, if you don’t have time, there are some great companies like Men in Kilts that can do it for you. Therefore, you can focus on the rest of the spring cleaning needed to get your house ready to list. Once it’s all clean, get out the paint and stain to do any touch-ups needed to make the home look new again. It will still be a few weeks before the yard will green up and flowers to bloom. So this is a great time to get the yard cleaned up to get the house ready to list when the time comes. On a beautiful Kelowna spring day, open those windows and let in the fresh spring air. Take the time to go through each room of the house and pack away any evidence of winter. This is also a good time to wipe down all those surfaces that have collected dust. This is an important step in getting your house ready to list. You won’t be needing those heavy jackets and sweaters for a while, so pack away any seasonal gear. Next time you will need those, you will be in your new home. House Ready to List? What’s Next? Now that you’ve got your house ready to list, you need to find the best real estate agent to represent you. The team at Quincy Vrecko and Associates is your only choice. They will help you with ideas to get the house ready to list. Ideas such as staging, any necessary improvements to maximize your price and help your home sell quickly. Because no 2 homes are alike, Quincy Vrecko and Associates creates a tailored marketing plan for each property to attract the right buyer. View a list of reasons why you should list with this award-winning team that is focused on results. The Okanagan is home to amazing real estate with incredible views of the lake. Each lakeview community has a different surrounding making each view unique. 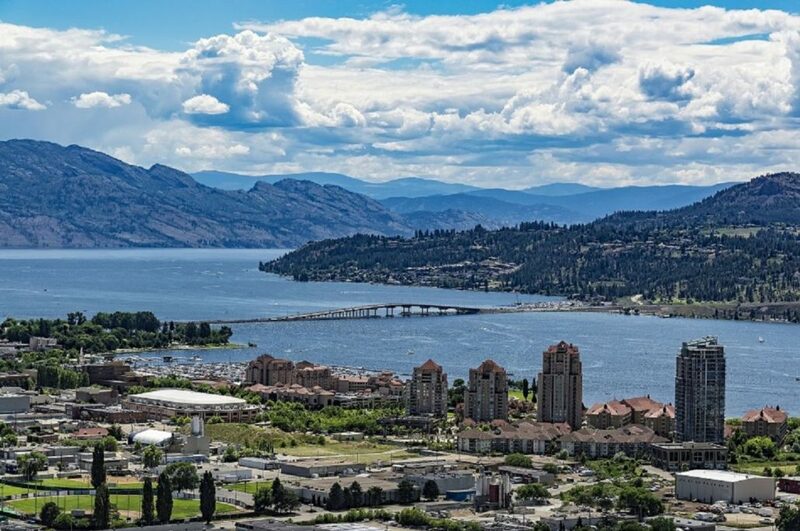 We are real estate professionals in the Okanagan specializing in lakeview homes, therefore we are the best team to take you on a tour of the Okanagan. On this journey we will give you our perspective of each lakeview community and explain the differences in these breathtaking views. In this 3 part blog series, we will tour homes in Kelowna, West Kelowna, Peachland and Lake Country. We will explain how each lakeview community captures the stunning beauty of Lake Okanagan in a unique way. All beautiful and captivating. From sunrise to sundown, to the twinkle of the lights at night reflecting off the water. This area was cleared out by the Okanagan fires of 2003 as a result, is now one of Kelowna’s fastest growing communities. High in the hills of Kelowna, this Lakeview community features mainly newer homes with vast panoramic views of Lake Okanagan. These lakeviews are primarily of Lake Okanagan and the growing community around it. Because of the south and west facing views, it makes this Lakeview community popular for the sun seekers looking to soak in the Okanagan sun. While some of the north facing views get a glimpse of downtown Kelowna. The Lakeview community of Glenmore is nestled up against Knox Mountain. A popular mountain for hiking, biking and sightseeing right in the heart of Kelowna’s downtown. This small lakeview community has a mix of old and new homes. There are some of the best waterfront properties in Kelowna found in this area. Most homes here offer big, west facing lakeviews from Peachland to Vernon. Established in the 90’s Dilworth is still building homes today. Dilworth mountain is in the centre of Kelowna making lakeviews quite unique. This lakeview community has some of the most diverse views of Lake Okanagan. Depending on the position of the home, these lakeviews can encompass both city and Lake Views. A more lively night view with lights twinkling for miles. Wilden is a newer lakeview community located north of Glenmore. This area has a more rustic feel with the lakeview through the towering evergreen trees. This area is on the other side of Knox mountain and features newer, craftsman style homes. East of Kelowna, this lakeview community seems like it is miles from the city yet it is only minutes away. Surrounded by acreages, orchards, vineyards and golf courses, the views are serene. 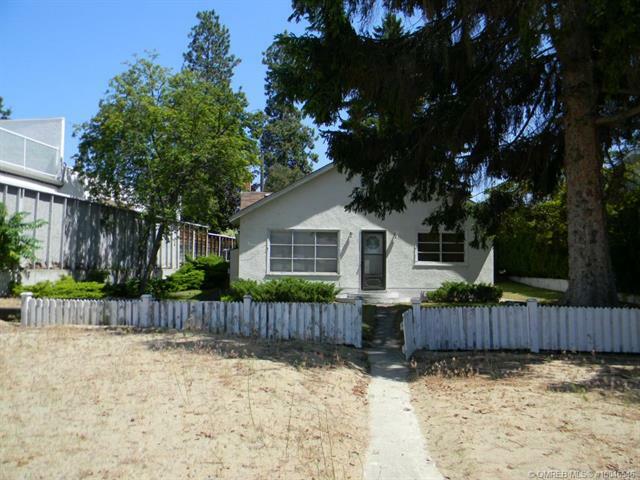 Mainly larger homes in the area, and only few with these prime Lakeviews. Therefore, the ones that do are picturesque. Lake Okanagan is framed by the lush rolling hills of South East acreages. Truly a spectacular setting to view the lake. Ellison is mainly a flatter residential area and farming community, also home to the Kelowna International Airport. The views in this lakeview community are found in the homes perched above the flats of Ellison. These lakeviews are just a portion of the views captured in this area. 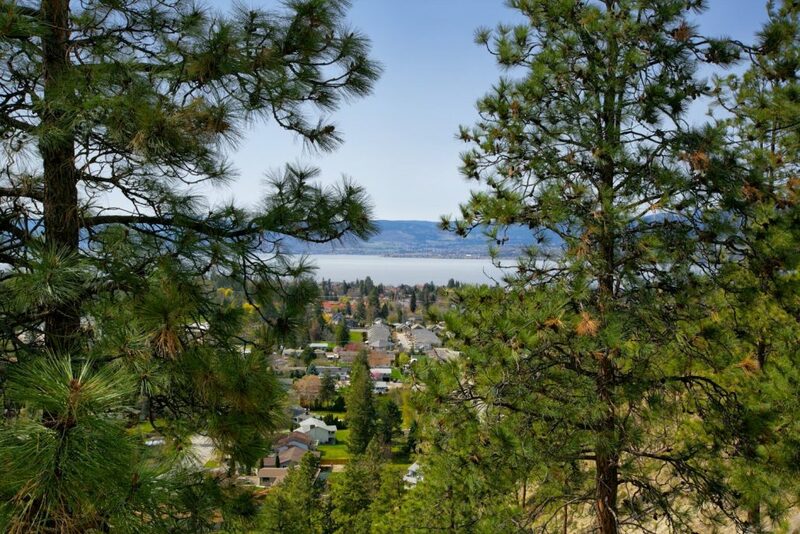 The lake is off the distance over the city of Kelowna, the vast orchards and large acreages in the area. An active night view as planes land of the tarmack of YLW. There are mainly newer homes in this lakeview community. The furthest distance from the lake, the west facing view is complex with a mix of city, mountains, orchards, golf courses and farms. The higher up the mountain you go, the more vast the view gets, as a result, you get a little bit of everything from this lakeview community. Above all, depending on what view you are after, there is a lakefront community that will capture it. Our next series will explore West Kelowna lake views. Quincy Vrecko and Associates specializes in Premium Properties and waterfront homes that feature incredible lakeviews. As a result, our team of professionals can find the best lakeview community that suits your lifestyle. The shores of Lake Okanagan have certainly changed over the years. Those small cabins that once lined the lakefront, are now few and far between. These prime waterfront lots are now home to spectacular, luxurious Kelowna waterfront homes. Back in the early 1970’s Kelowna was the place for a beach vacation. Laid back and perfect for a summer in the sun. Most of the Kelowna waterfront homes were small cabins and beach houses, very different from the luxury properties that line the shores today. Let’s take a look at one Kelowna Waterfront home: Then and now. The CEO of QVA, Quincy Vrecko, is a leading waterfront real estate specialist in Kelowna and will compare what this Kelowna Waterfront home used to be and what it is now. I sold this home to the current owners back in 2014. A hard working couple from Calgary looking to get into the real estate market in Kelowna and secure a Kelowna Waterfront home for their future retirement. The home was a small waterfront cabin built in the 1940’s. Quaint and cute, the home was only 1000 sq.ft with 2 bedrooms, one bathroom. What attracted them to the property, was the lot and location. The lot was 62ft of waterfront and offered amazing beach and deep water for moorage. This is where they would eventually build their dream home. After enjoying this little cabin on the Lake for 2 years, they eventually brought it down and started to build their dream home. 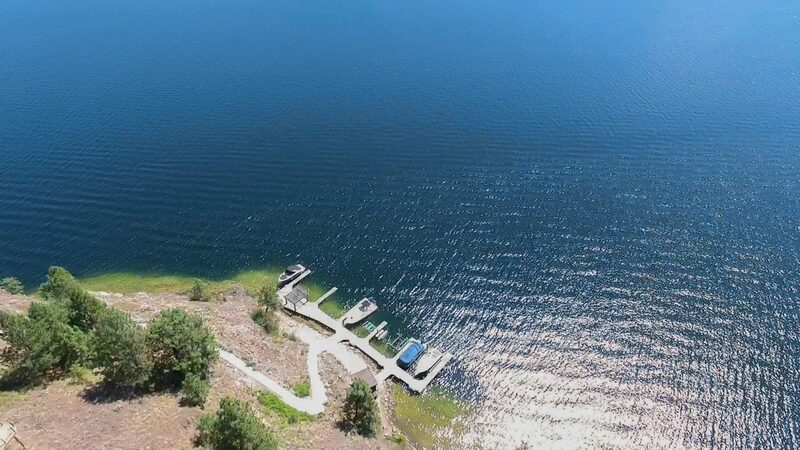 Now that .20 acre lot is home to a spectacular luxury Kelowna waterfront home. Built by James Debruin from Debruin fine homes. This luxury estate boasts, 5 bedrooms, 5 bathrooms, guest quarters, media room, wine room, inground pool and lush private patios just to name a few. Out on the shores of Lake Okanagan, this Kelowna waterfront home has a beautiful dock with electric boat life to complete the perfect Okanagan lifestyle. Truly a masterpiece on the waterfront. This Kelowna Waterfront home is enjoyed all year round by the newly retired couple who had a dream 5 years ago and has now made it a reality. The Sensitive Santa program will be running again this year at Orchard Park Mall. Quincy and I are honored to bring back the Sensitive Santa visits. 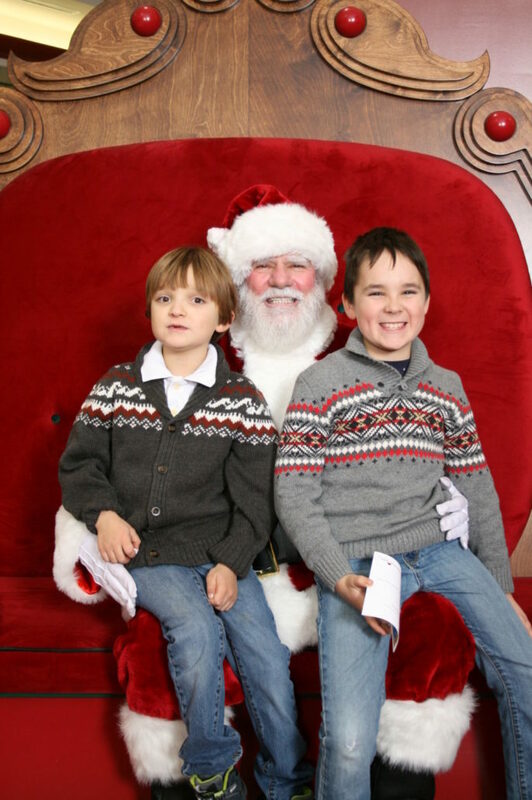 With the help of Orchard Park Mall and Autism Okanagan, these precious Santa visits are treasured memories. Sensitive Santa is a private one on one visit for children who have sensory sensitivities. The hustle and bustle of the mall at Christmas time would normally overwhelm children on the specturm. These visits make it possible for childen with Autism to enjoy this time honored event. Our 8 year old son Paxton has Autism. It is difficult for him to enjoy a visit with Santa when there are crowds of people, bright lights and loud music. Five years ago after a stressful attempt to visit Santa at the mall, we came up with idea of Sensitive Santa. The elements that would make a Santa visit a disaster for us, we now control with the help of Orchard Park Mall. We controll the environment, therefore it has created priceless moments with families. Before the Sensitive Santa program, these families have not been able to step foot in the mall. Let alone to visit Santa at Christmas time. Autism Spectrum Disorder (known as ASD) is range of conditions. They are characterized by challenges with social skills, repetitive behaviors, speech and nonverbal communication. In Canada, 1 in 68 children are currently diagnosed with autism spectrum disorder. This makes Autism the fastest growing and most commonly diagnosed neurological disorder in Canada. Quincy and I hope to be able to bring more programs like Sensitive Santa to the Okanagan. When I am not selling real estate, I am working with Autism Okanagan. I am proud to be the acting president for the board of directors. I am growing awareness in the community and increase activities for families living with a loved one on the Autism spectrum. Dates for this year are December 2nd, December 9th and December 16th. Considering buying a Waterfront property in Kelowna? Start by calling talking to expert in Waterfront properties and Luxury homes in the Okanagan. The most important step in starting your search is to hire a luxury real estate agent. This agent will have experience with this complex transaction. 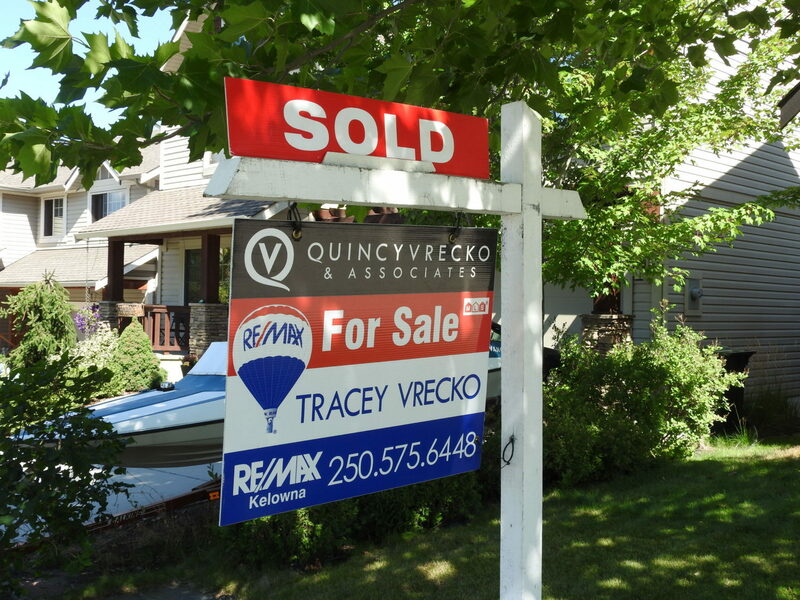 Quincy Vrecko with RE/MAX Kelowna has been selling waterfront property in Kelowna for years. He understands how complex this type of transaction can be. Some of these important factors could drastically change the use of the property or even the value. Before diving into this large investment, the following factors should be considered and carefully examined. As a waterfront specialist, Quincy can help protect your investment and bring some clarity when buying a waterfront property in Kelowna. Waterfront: When you are buying a waterfront property in Kelowna, you are buying the land but you do not own the waterfront. There are very few properties in the Okanagan where the homeowner owns the foreshore right. This means, you do not own the beach out in front of your home. Docks: If that waterfront home has a dock, the dock must have a specific permission or general permission. You must ensure it is compliant with the rules and regulations set out by the ministry. Different areas of Lake Okanagan have different requirements for dock construction. This is based on the salmon spawning, depth of the water, protection of the foreshore and indigenous plants to name a few. You will want to make sure your dock is a legal dock before your purchase. Building: When buying a waterfront property in Kelowna and tearing down the current home, there are new setbacks that are now in place for new home construction on the waterfront. Years ago, structures were allowed to be closer to the water but new guidelines are in place once that old cabin or beach house is taken down. 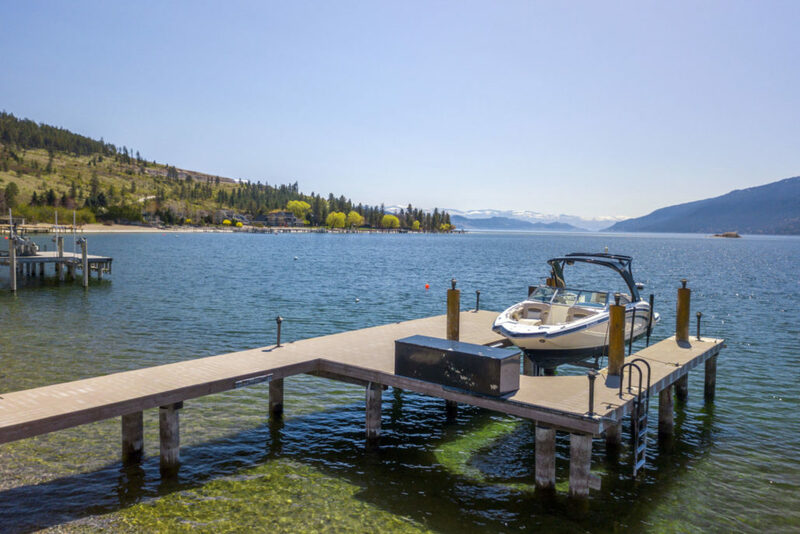 When looking into buying a waterfront property in Kelowna, it is important to hire a real estate agent who is experienced in selling waterfront properties. Someone who is knowledgeable in the details of a waterfront sale. 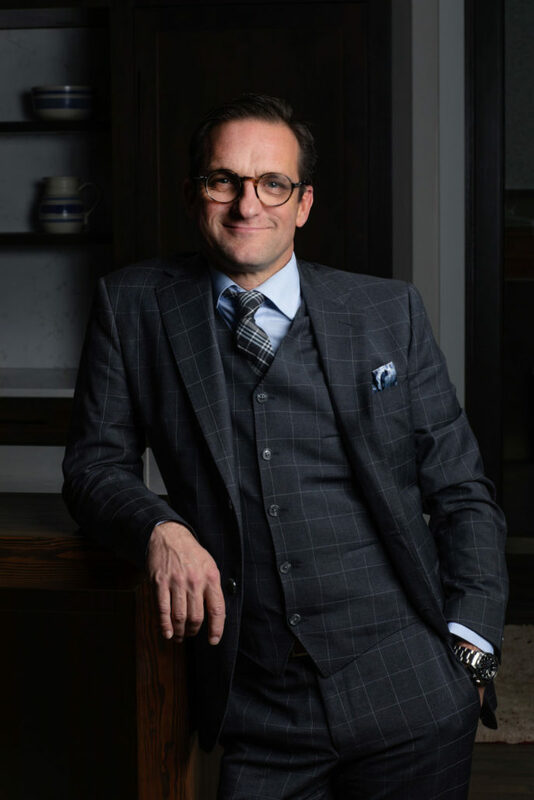 Quincy Vrecko of RE/MAX Kelowna is one of the top luxury real estate agents for waterfront sales in the Okanagan. 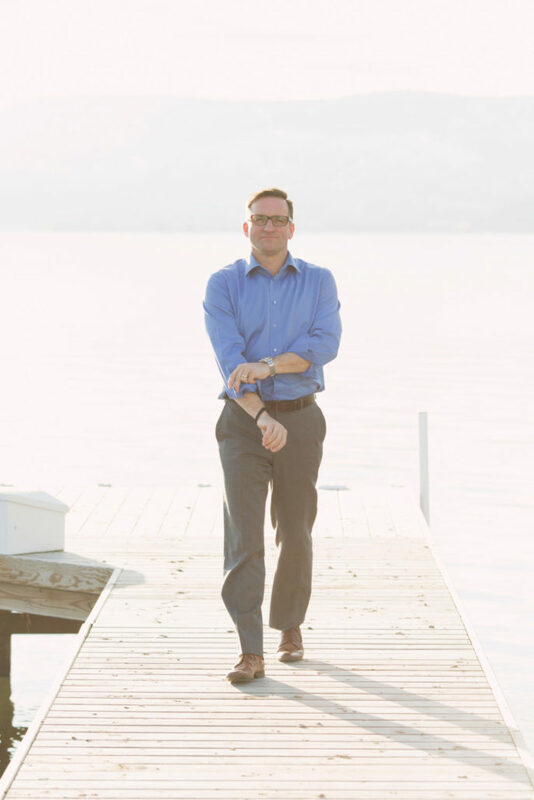 His extensive knowledge gives his clients the advantage when buying a waterfront property in Kelowna. Call Quincy before starting your waterfront search. Access to world renowned wineries and picturesque vineyards is one of the things that make Kelowna such a great place to live. 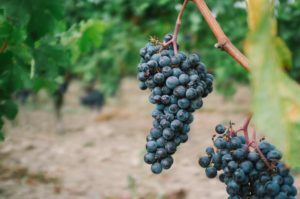 The cooler weather and changing colours of fall make a trip out to a local Kelowna winery a pleasure this season. Here are our top three picks for a tasting trip to a Kelowna winery. First planted in 1927 the Tantalus vineyard is the oldest continuously producing vineyard in British Columbia. Situated in picturesque East Kelowna they are open daily for tastings throughout the fall. Their sleek gallery style tasting facility is full of notable Canadian works of art, and the historic vineyards anchor beautiful lake views. This Kelowna winery focuses on small terrior driven lines of wine with a notable Riesling. Consistently award winning Tantalus is on the shortlist of Canada’s best Riesling producers. For the best tasting experience possible be sure to make reservations if you are plan to visit on the weekend. Located on Boucherie Road and surrounded by some of the most notable names in Okanagan wine, this small quirky West Kelowna winery is well worth a visit. The Hatch creates wine from small producers all over the Okanagan Valley. The tasting room, referred to as their “rustic shack” is reminiscent of early days in the Napa Valley. 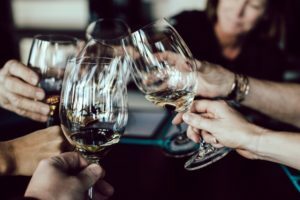 Staffed by energetic, fun, and knowledgable individuals the tasting experience tells the story of local passionate growers with their delicious wine. Full of unique names and amusing wordplay their range of wines consistently collects awards. In fact, at just a year old The Hatch placed in the top 10 of all wineries in Canada. Grab a bottle of the 2015 Bacl Swift Pinecrest Chardonnay if you still can. The experience at 50th Parallel has been perfectly orchestrated to create a world class wine destination. Surrounded by a stunning landscape and housed within an architectural masterpiece the tasting room at 2009 and the vineyard has expanded in stages ever since. The fantastic and award winning Pinot Noir is the only red produced at the vineyard in order to give it the technical attention it requires. The Block One restaurant at 50th Parallel opened its door in the spring of 2018 and serves regionally inspired cuisine in an impressive indoor and outdoor space. Try the truffle popcorn for a true indulgence. 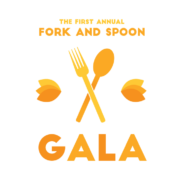 Reservations recommended, click here! 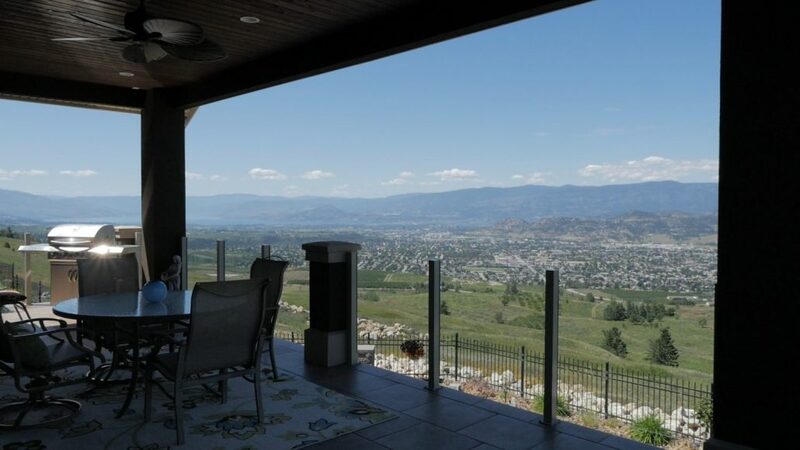 With the abundance of vineyards in the Okanagan Valley home near a Kelowna winery is an achievable dream. Quincy Vrecko and Associates is an experience team of Kelowna luxury real estate agents who have the skills to make the dream a reality. Contact them today at 778-760-2860! Thinking of getting out of Kelowna for a weekend? The team at Quincy Vrecko and Associates share their 3 favourite weekend getaways. Kelowna is a beautiful city full of stunning views, fantastic dining, and endless activities. That being said, sometimes you just need a relaxing weekend escape to recharge. 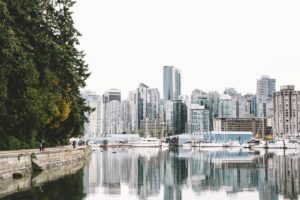 If you’re ready to experience a new space here are our top three destinations for weekend getaways from Kelowna. Just a short drive or flight away! A short drive north to Vernon takes you to the stunning property of Sparkling Hill. This one of a kind property is one of North America’s world-class health and wellness spas, considered an oasis for relaxation, pampering and healing. Guest rooms are filled with crystal accents and feature floor to ceiling windows as well as a crystal shaped two-person soaker tubs. The Sparkling Hill spa boasts 7 themed steam rooms, indoor and outdoor pools, hydrotherapy and multiple areas for relaxation. After a full day or pampering you can refuel at the stunning Peak Fine Restaurant featuring farm to table dining with tasty menus that change seasonally. For an extra treat the sommelier will pair each course with the perfect local or international wine. This is one of the weekend getaways that is close to home but will allow you to escape even just for a night. Our weekend getaways take a little further west. The Douglas hotel is located inside Parq Vancouver in downtown Vancouver’s entertainment district and perfect for a weekend getaway. The hotel features beautifully appointed rooms with lush linens and original artwork. Or splash out in luxury for one of three individually curated luxury bi-level suites with stunning views. A short stroll through Parq Vancouver takes you to the Spa by JW and The Glamoury for some luxurious pampering. Spa treatments are custom tailored to Calm, Indulge, Invigorate and Renew. 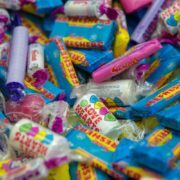 Or head to the Glamoury and treat yourself to a blow out. Finally be sure to head up to the 6th floor rooftop and dine at The Victor a classic North American steak and local seafood experience. Sip expertly paired wine or premium cutting edge cocktails while looking out over False Creek. Finally, the last of the weekend getaways skip over to Vancouver Island. 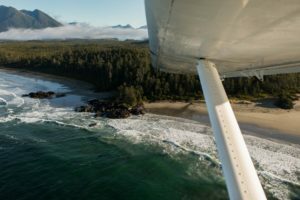 Multiple daily flights with Pacific Coastal take you from YLW to Tofino through Vancouver. Tofino’s Wickaninnish Inn is one of the most favourite luxury weekend getaways for Tracey and Quincy Vrecko. The “Wick” sits perched on the west coast of Vancouver Island and beautifully combines elegance and natural beauty. The spacious guest rooms feature ocean of beach views and are designed with attention to detail and a connection to nature. Get pampered at the Ancient Cedars Spa and take a short drive to the Wolf in the Fog restaurant for an exquisite meal in stunning surroundings. The Wolf features a delicious menu inspired by the oceans, forests and shoreline of the local area. Try the oysters! There you have it. If you are looking for a short but relaxing escape from Kelowna, these are our top three weekend getaways from Kelowna. Fabulous hotel rooms, luxurious spas and fabulous food combine for a perfect mini-vacation. Fall has arrived with changing leaves and brisk sunny days. This means that golf courses in Kelowna are getting ready to close down for the off-season. 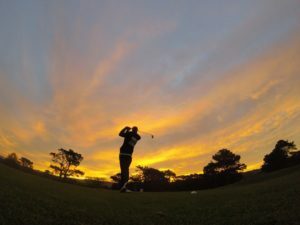 But you can still squeeze in plenty of rounds this month as most courses are open until late October. 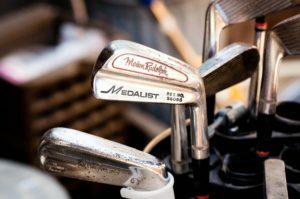 Here are our top recommendations for autumn golf courses in Kelowna. For a day spent walking the links you cannot go wrong with Kelowna Springs for autumn golf courses in Kelowna. Known as a fantastic for walking this course was designed by renown architect Les Furber and features stunning waterways. Remarkably picturesque the course features views of the valley and distant vineyards. After your round visit Legends Classic grill and enjoy the autumn sun on one of two decks overlooking the course. Open until October 31st for you to squeeze in your final rounds. Perched on the side of beautiful Black Mountain this par-71 championship course is suitable for all levels. With 4 choices for tee boxes even a novice will have a great day out at this premier of golf courses in Kelowna. Know for spectacular conditions regardless of the season Black Mountain Golf Club is one of the most scenic courses in Kelowna. Be sure to work up an appetite and visit The Grill after your round and choose from tasty choices ranging from nachos to Moroccan Lamb. Final rounds of the season will be played October 31st. Recently voted the “Best Golf Course in Kelowna” this course was carved out of a former orchard and features stunning lake views and numerous fruit trees. At 7,109 yards, The Harvest is a championship-length layout designed by renowned Canadian golf course architect Graham Cooke. Closing slightly earlier on October 26th you still have time for a few rounds on this stunning example of golf courses in Kelowna. Be sure to follow up with a meal featuring Okanagan flavours with a west coast flair at The Harvest Grille on site. If you are looking to purchase a home close to amazing amenities such as these fantastic golf courses in Kelowna, it’s time to tee up a meeting with Quincy Vrecko and Associates. We are a dedicated team of professionals with years of experience ready to assist you in purchasing a Kelowna home. Contact one of our knowledgeable associates today, call 1-778-760-2860! If you can believe it October is just days away. Autumn in the Okanagan Valley is a beautiful place with lots of fun events to keep you busy. If you’re looking for October activity ideas you’re in the right place. Check out our three top ideas of events in Kelowna this October. 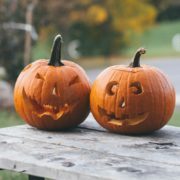 These fun pumpkin carving events in Kelowna kick off on October 3rd and extend all month long as long as the pumpkins last. The pumpkins are cleaned for you and the seeds roasted up tasty. Create your own festive pumpkin while sipping on some tasty wine, cocktails, or even vegan ‘Baileys’ and hot chocolate. The event is by reservation while supplies last so reserve early. Head on over to The View Winery and Vineyard in your spooky best costumes for this unique event. The third annual Spooktacular Halloween Pairing joins candy treats with delicious wines and ciders. Head out to South East Kelowna from 12-5pm each day to enjoy the fall flavours and maybe event win a gift for your fabulous costume. Kelowna is full of great outdoor and indoor activities. There are endless events in Kelowna year round. Keep yourself going and entertained through this beautiful fall weather. Enjoy it while it is here as winter is not far from making an appearance. 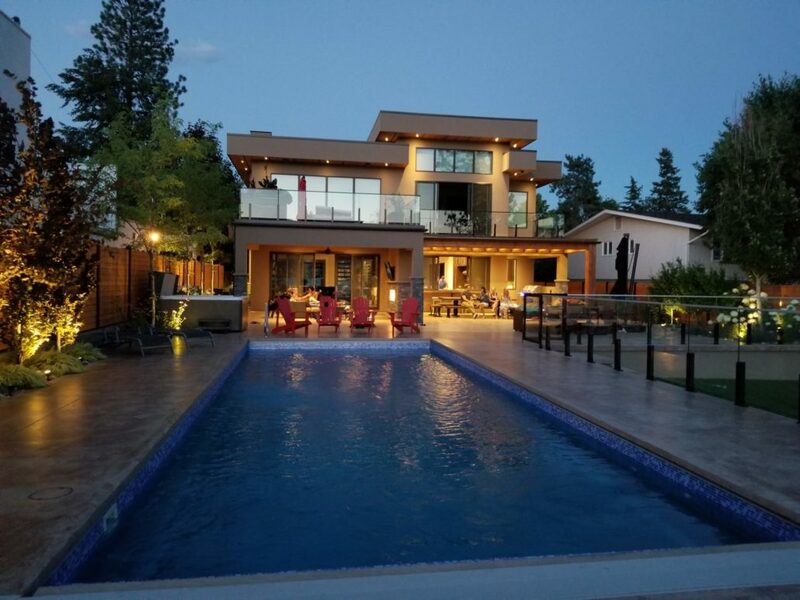 If you are looking for Kelowna real estate within close proximity of fun activities indoor and outdoor, contact the team at Quincy Vrecko and Associates. Our team of professional Kelowna real estate agents is ready to assist you with your next Kelowna home purchase. Call 1-778-760-2860!